Sandeep Das (tabla) Publiquartet (string quartet), percussion (pitched and unpitched), solo piano, solo guitar, guitar and percussion duo, toy piano, solo violin, Javanese gamelan, harp, synthesizer, and saxophone. This looping system utilizes Ableton Live and Max for Live and can integrate into any acoustic performance setting. 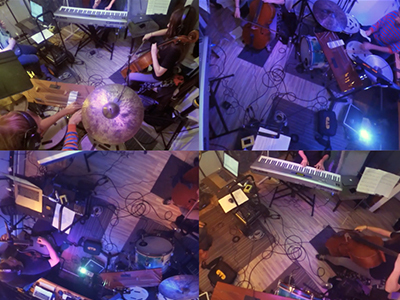 Art of the Loop was born from the experiments of Bleep Blop electroacoustic ensemble.